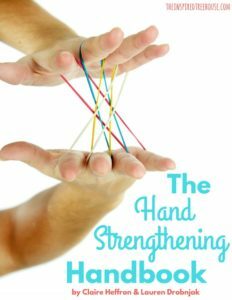 Looking for some easy, fun ideas for hand strengthening activities for kids that require little to no equipment and no, extensive preparation? Check out these free sample pages from The Hand Strengthening Handbook. Who knew you could do so many fun games and activities with donkey kicks? 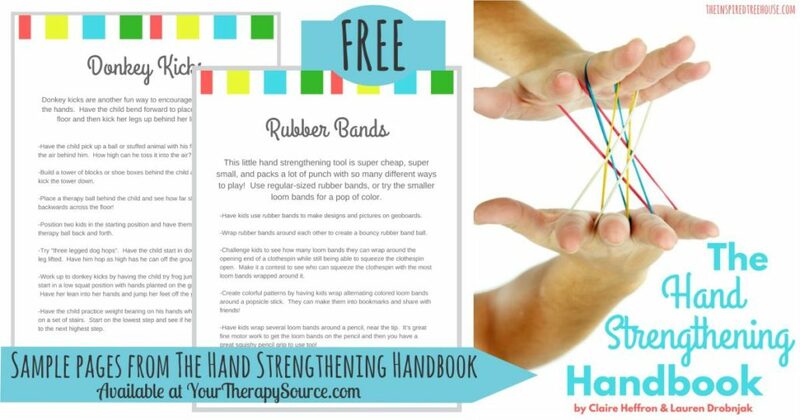 How about using rubber bands in some creative way to strengthen the hands? You can download your freebie below. You can get more information on The Hand Strengthening Workbook here. DOWNLOAD TWO FREE SAMPLE PAGES FROM THE HAND STRENGTHENING HANDBOOK.